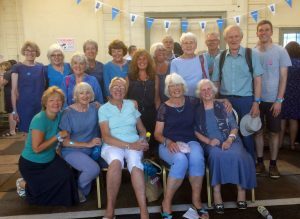 Martock & Ash Community Choir Sing for Water – again! On a very hot Sunday morning in July 2018, some forty or more Harmony 303 singers were transported to Bristol to ‘Sing For Water’. This is a concert for which choirs learn learn the same songs over a few months, then come together for one massive performance. 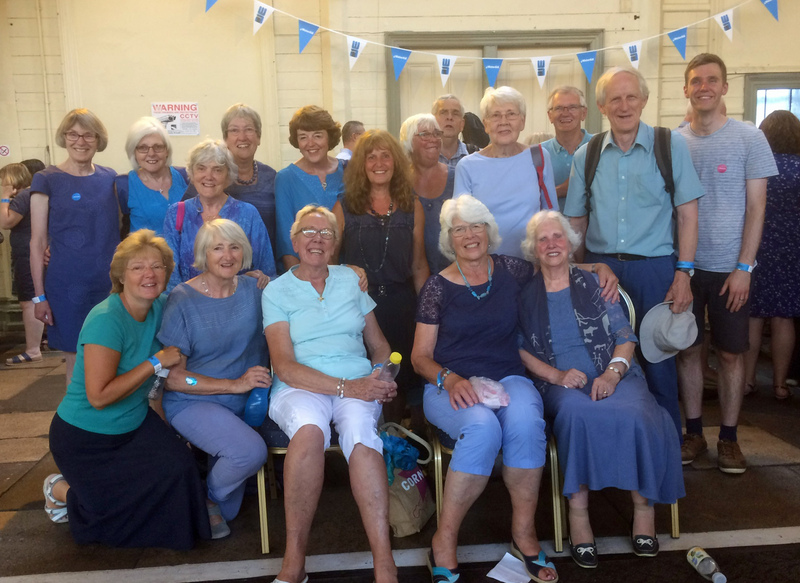 Each choir commits to raise a certain amount of money for Water Aid, which the charity uses to bring clean water to people in some of the poorest parts of the world- currently they are in Rwanda. This is the third time Harmony 303 have supported this initiative, and each year our choir has raised more money; this time the total raised – through craft, produce, book and pre-loved item sales, workshops, practice dvds for singers, coffee mornings et al. – was some £2,500. The total number of singers taking part this year was in excess of 1000, so the concert was in two parts, half singing at midday, then the other half after lunch break. We were in the second half so we had chance to listen to the songs – and the sound was overwhelming. Used as we are to some 50 or 60 or so of us singing together, we were engulfed by a wave – a tsunami of sound, as 500 plus voices raised the roof of the Passenger Shed at Bristol station, all singing ‘our’ songs. Amazing! But, if we were moved when listening, the experience of singing later was even more awesome. Surrounded by sound, and – because of excellent acoustics – able to hear all the harmonies, it was a truly uplifting experience. Interestingly, one song that some of us hadn’t much liked – ‘So Much Magnificence (in the Ocean)’ absolutely came into its own, and the final soaring crescendo of ‘Hallelujah’ from all parts of the massed choir was nothing short of the magnificence it sang of. Thus, perhaps inevitably, the simple beauty of our final song, ‘Bridge over Troubled Water’ proved too much, and the line ‘when tears are in your eyes…’ took on a whole new meaning for some of us. Simon & Garfunkel did well, but Harmony 303 and the massed ‘Sing for Water’ choir in a railway shed in Bristol on a hot day in July 2018 did better, believe me. © Copyright 2016 Harmony 303 Choir - All Rights Reserved.